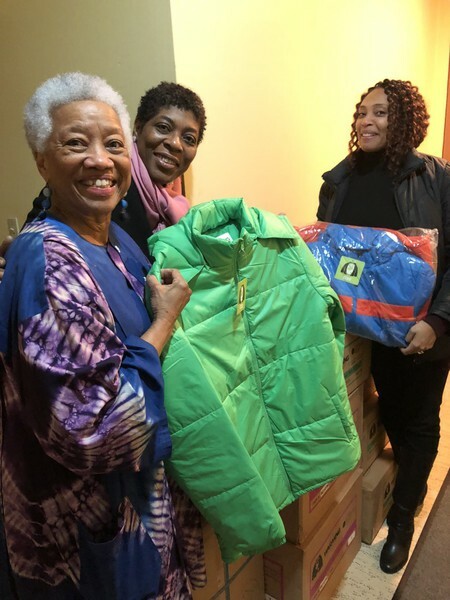 On February 22, 2018, President Tonda Ladson and Vice President Paula Tudor delivered eighty-one brand new winter coats (women & children) to Mrs. Gayle Simmons, First Lady the of St. Albans Congregatonal Church in St. Albans, New York. 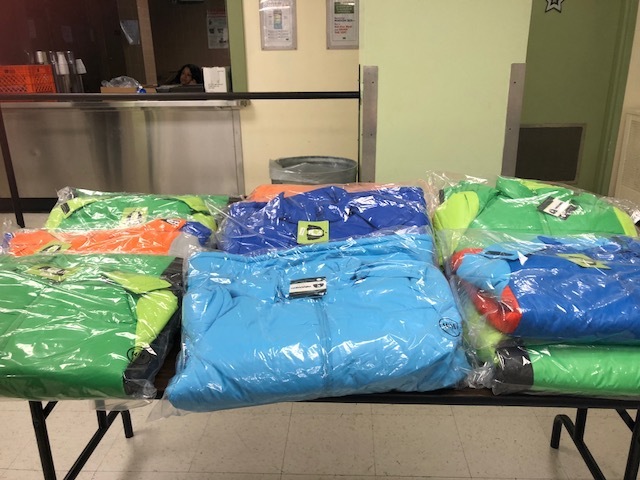 They varied in colors and sizes ranging from children's 4-18 and women's XS - 3XL. 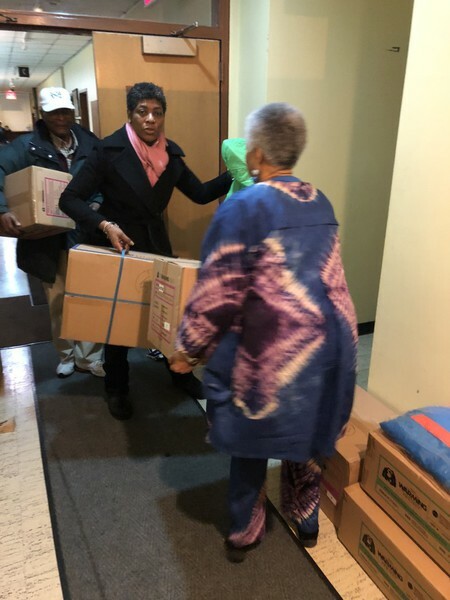 Members of the congregation who were just finishing up from choir rehearsal were delightfully surprised with the donation! 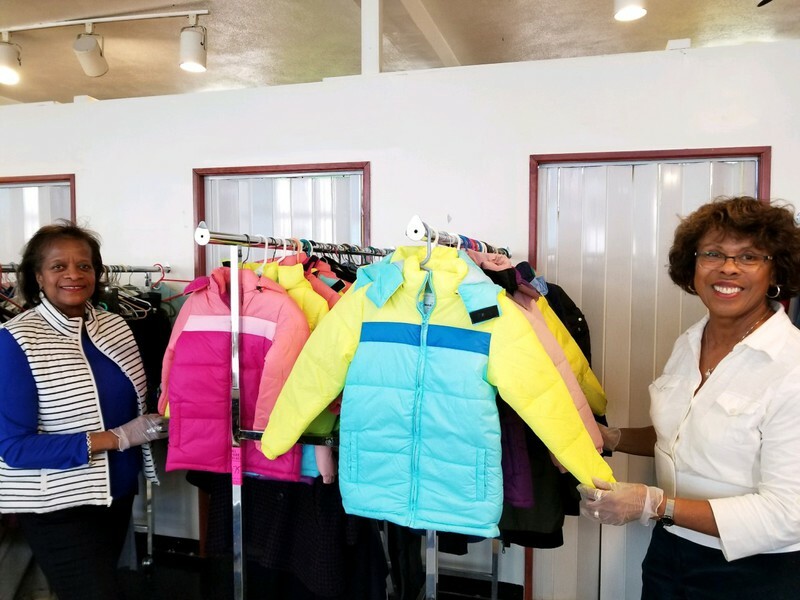 Along with First Lady Simmons, they assisted with unloading and securing the coats. 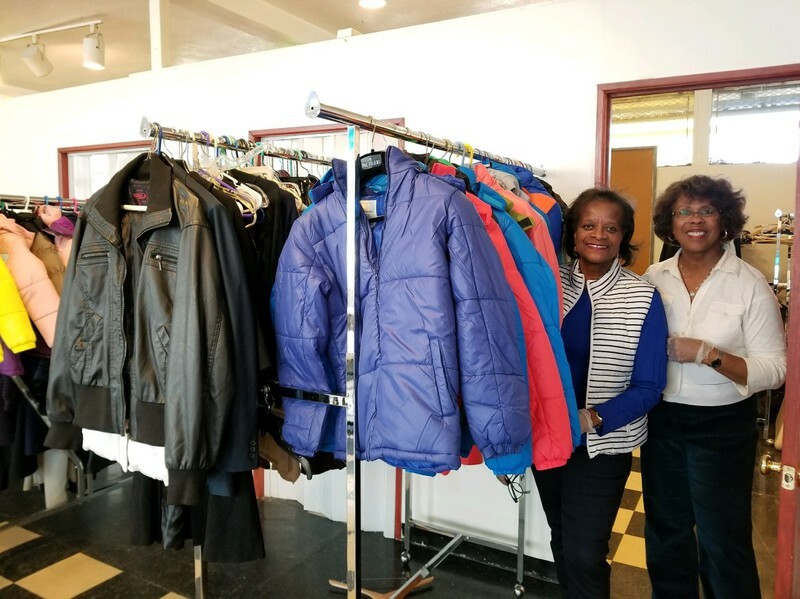 They were distributed on Saturday, February 24, 2018 at their monthly :Because We Care" Clothing Boutique & Food Pantry held every last Saturday of the month. 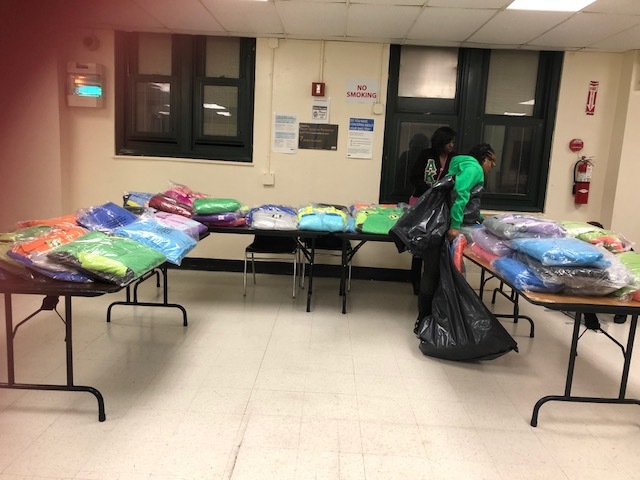 Through our partnership with New York Cares Coat Drive, our foundation was thankful for the opportunity to serve those in need at a time when it was most crucial. 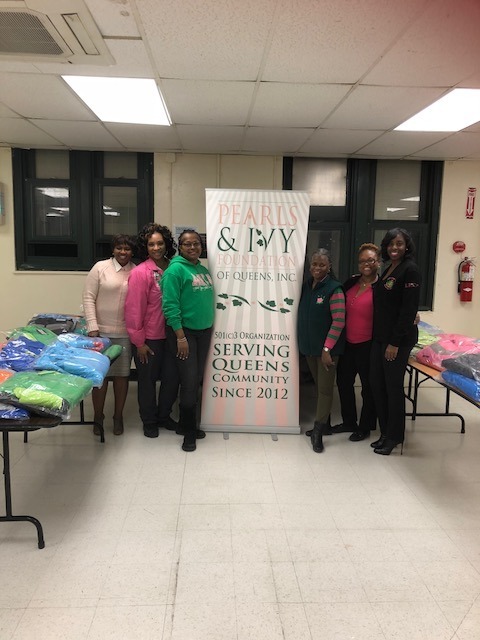 On March 6, 2018, The Pearls & Ivy Foundation of Queens, Inc. donated eighty-one new women & childrens' coats to the families living in the Jamaica Reception Center as a part of the kickoff Meet & Greet Orientation for The Family Prep Program. 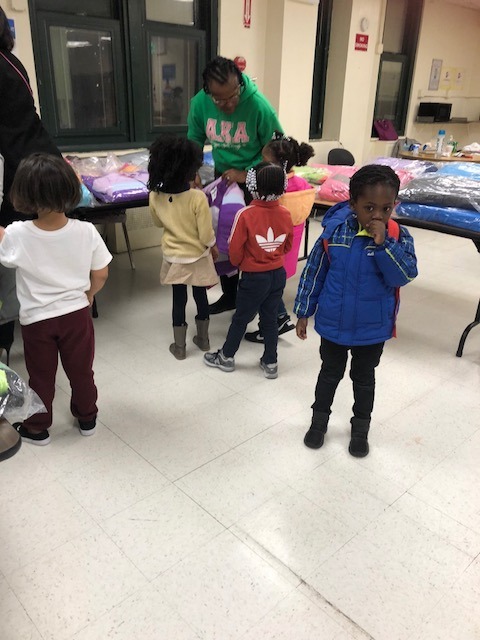 This program was launched in 2014 by the Epsilon Pi Omega Chapter of Alpha Kappa Alpha Sorority, Inc. to give homeless families, mostly women & children, social support and education necessary to overcome their obstacles, build a better life for themselves and to help raise their self-esteem. 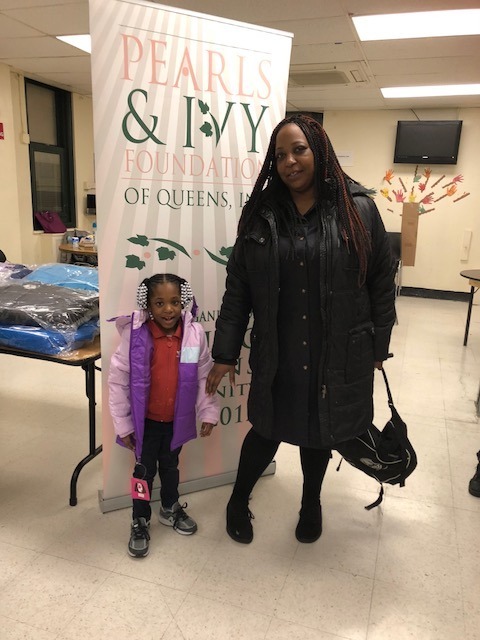 For a consecutive 8 weeks, twice a year workshops are presented on Self Esteem, Social Skills, Parenting Skills, Family Strengthening, Stress Management, Health & Wellness, Housing, Budget/Finance and Career Development. 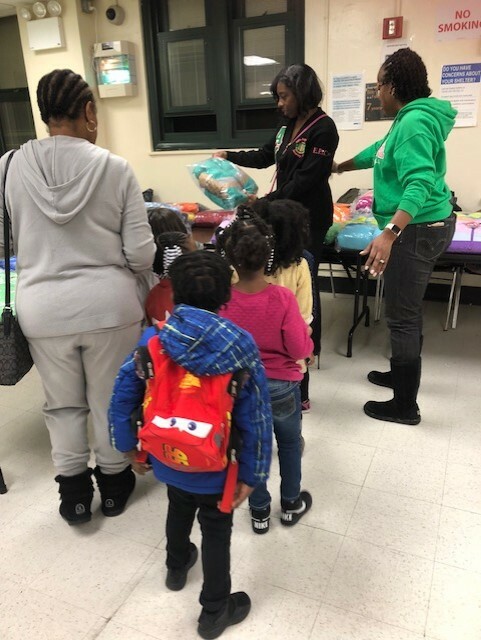 Volunteer members welcomed the families and shared information about the organization. Everyone, then took part in a fun icebreaker to get to know each other. 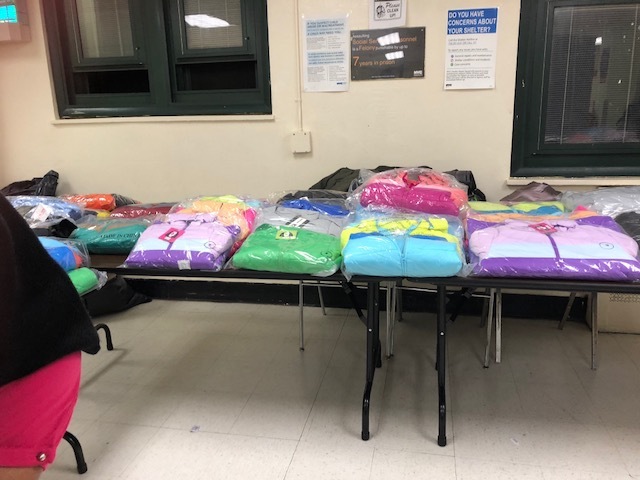 An array of coats were on display for the residents to choose and take with them. 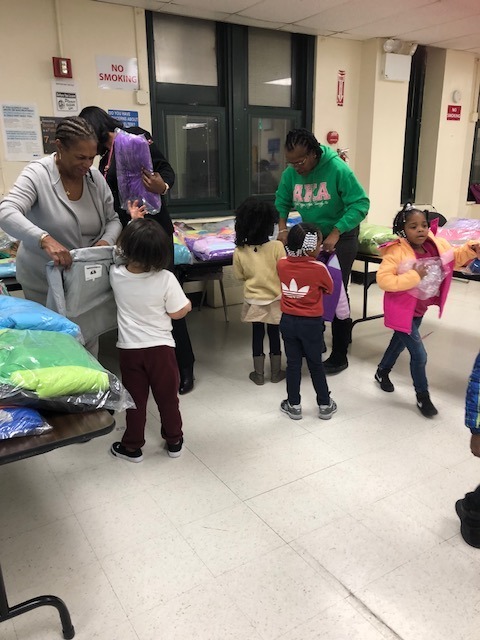 The residents were extremely happy and appreciative. 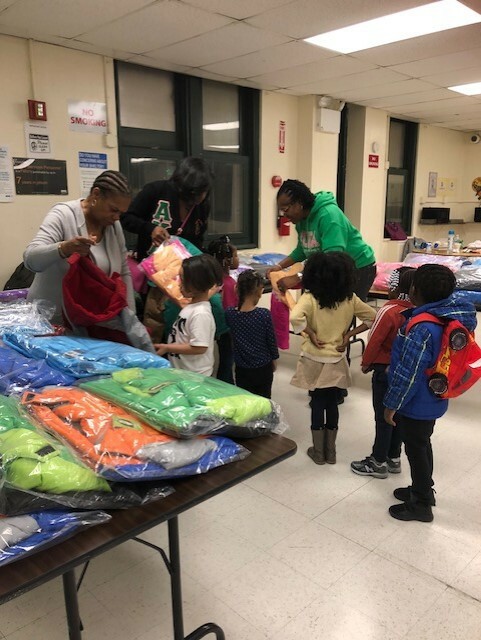 Our Foundation avidly supports programs like these spearheaded by Epsilon Pi Omega Chapter.